In the next few days to weeks, I'll muse about my wedding journey - from choosing of suppliers, essential tips, realizations, actual wedding, and of course, my beauty rituals; starting with the hair, of course! 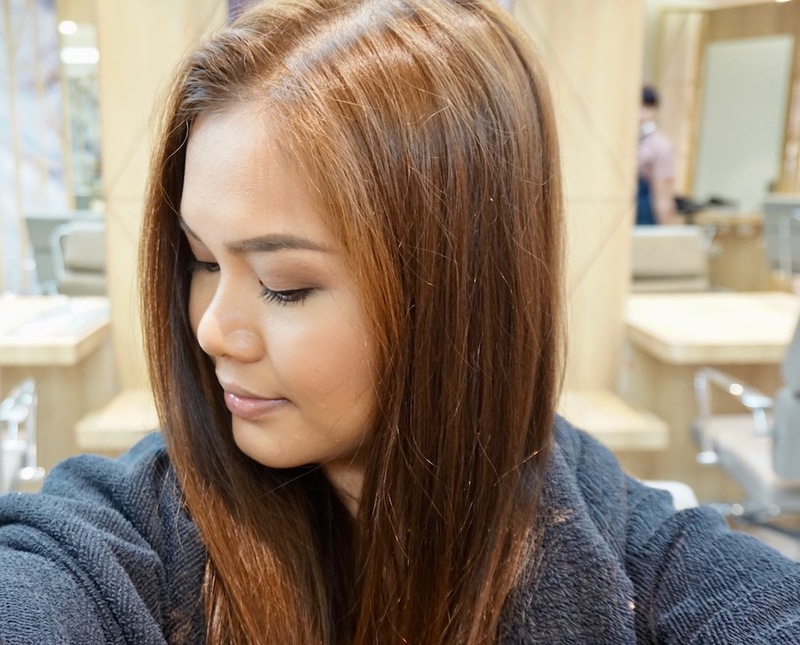 Here's my pre- medium ash brown hair, which was previously colored by Vivere as well; this is a honey brown tone and I'm glad that it didn't end up looking brassy on the ends despite coming from a heavily bleached (due to highlights) situation. This is my hair peg. I want my locks to still look brown, but with a halo effect of ash on it, if you know what I mean. 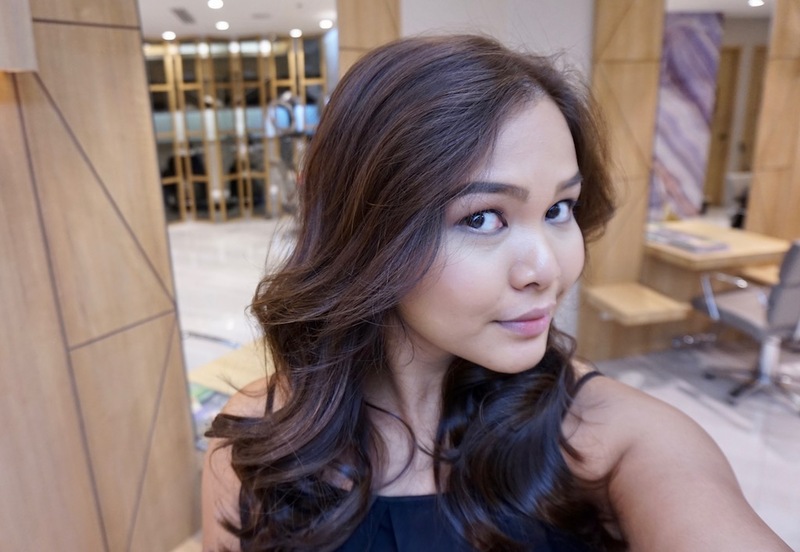 At first, I was a bit hesitant to go for ash brown because I was afraid that the greenish/grayish tone will result to a muddy- looking complexion, but thanks to the expertise of my stylist, Alben of Vivere Salon Glorietta 1, we were able to pull it off. First, I had a hair cut because my ends were already begging to be cut. I just had the dry ends trimmed; I still want to have long hair to sport soft boho curls on my wedding day. Now join me in my journey to Medium Ash Brown hair! 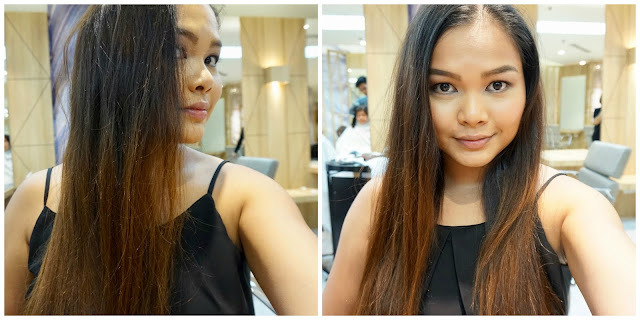 For starters, Vivere uses Schwarzkopf as their brand of hair dye and I'm sharing with you the colors my stylist used. First, my hair was pre- lightened with Schwarzkopf #12 from the Highlifts color family. 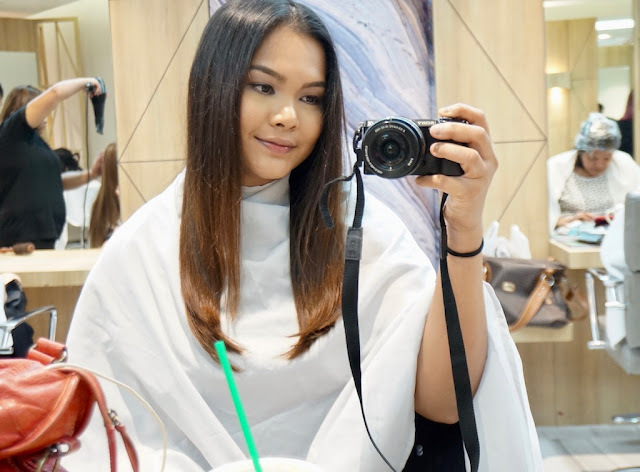 We were off to a good start as I felt that my hair needed to be pre- lightened first for the Ash tone to come out evenly and for my regrowth to unify with my lightened ends; it's exactly what Alben did. Next, the ash brown color was applied. 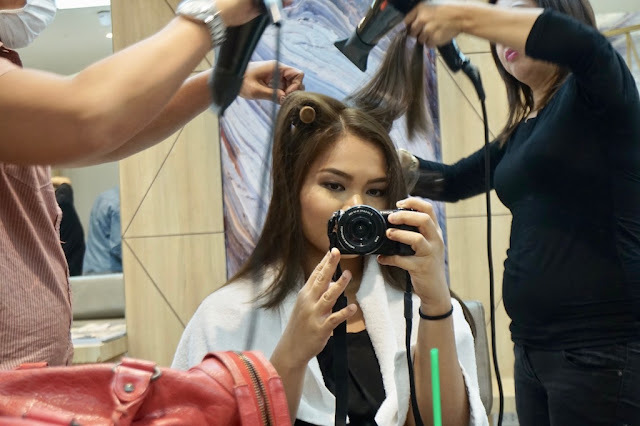 Alben used Schwarzkopf 7-1 and 8-11 from Naturals color family for the ash brown tone. Voila! Ash Brown hair for morenas, achieved! 1. 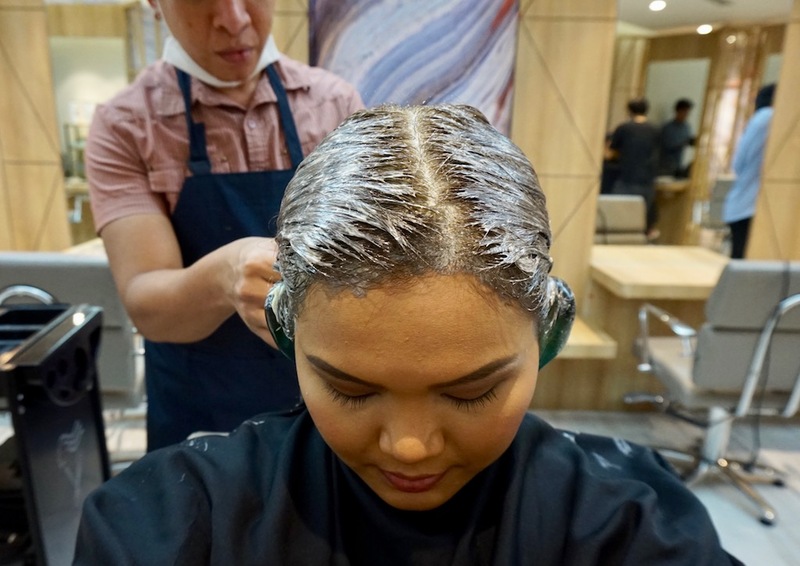 It is important to pre- lighten the hair first because Asian hair is rich in pigment, which makes it virtually hard for any new color to come out accurately, not unless you are sporting bleached/blonde hair to begin with. 2. 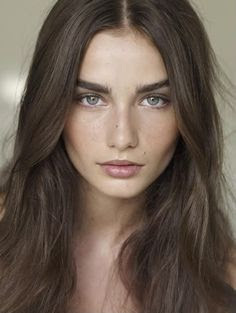 For morenas, a warmer ash brown is best; that's why I chose Medium Ash Brown; anything darker than this will just make my hair look dark brown and anything lighter, methinks will make my skin tone look muddy. 3. Work with your stylist and discuss the outcome that you want properly, but expect that you will achieve around 80% of your desired color only just because the pigments in our hair always get in the way. 4. Double coloring can make your hair dry so don't forget to opt for hair treatment after! Btw, Vivere's sister companies, Ooh La Lash, Hey Sugar Waxing Salon, and Nail-A-Holics have opened new branches at Unimart Greenhills! Visit them at Mezzanine level, Unimart, Greenhills, San Juan. Color starts at P2,500.00 at Vivere Salon. For more information, please visit VIVERE SALON on Facebook. Ive been waiting for this blog kasi u mention it on one of your YT videos. I really super love the color bagay na bagay sa mga morena and i know u will have a hair goal on ur upcoming wedding ms martha 👌🏼👏🏻 Oh my im also excited on ur wedding day. U look amazing with the new hair color 😍😍 Love it!!!! Awwww, getting teary eyed. Yeah you're getting married na pala. Loving this new hair color on you. You look stunning. Yes please feature your suppliers for the wedding para I can have a reference as well. Praying for you and Randy. Looking forward to your new journey as a missus! Looks great! How much was the overall cost? I colored my hair the day before i saw on IG that you colored yours. Naisip ko pa nga na sana ganyan din pinakulay ko kasi morena rin ako, baka bumagay sakin. I also love your hair color, it makes you bloom. Actually when it comes to hair, sa salo ko lang pinagkkatiwala. Minsan na kasi nasira hair ko nung graduating ako ng High school. Sa haba ng hair ko I have no choice but to cut it out, lahat ng sunog so pag college ko sobrang iksi ng hair ko tapos ang taba ko pa that time. So it is important to always ask to some expert when it comes to hair talaga. Thannk you dear! :D Oh no, sorry to hear about that. That's why I prefer salon, pero nagddiy din ako, but I only use premium products from trusted color brands. Love your hair makeover, Ms. Martha! Hair peg ko dn yang ash brown pero I have jet black hair and the time I dyed my hair, blonde ang pinili, it still did not show in my virgin hair. Hopefully for my second time, it will show for a bit.